Elizabeth Norton, founder of A Really Big Life, coaches her clients to achieving their goals and having a life they love. In today’s world, that’s an important thing to have! When Elizabeth engaged our services, we only had the budget to redesign the home page, but we knew that was where most of the new traffic was coming from so we wanted to make a big impact and really show of the kind of energy and results that Elizabeth can get for her clients. 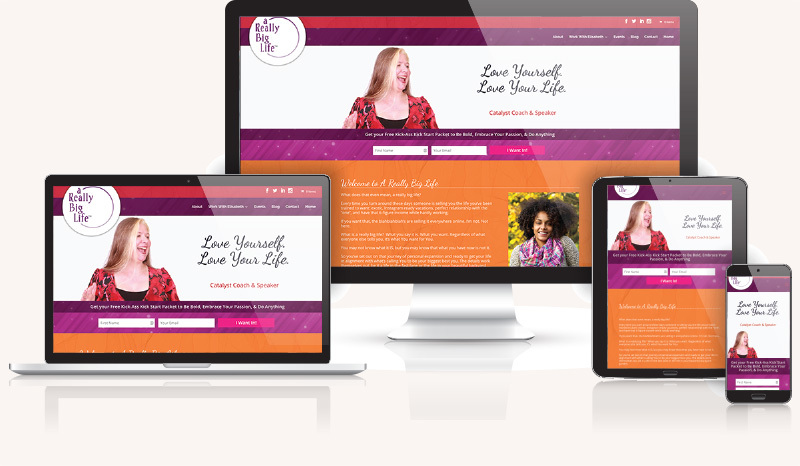 The resulting updated homepage is bright, colorful, engaging, and has worked wonders in building Elizabeth’s email list and cultivating prospective clients.